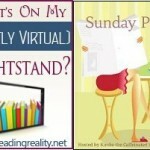 Review: The Red Book of Primrose House by Marty Wingate + Giveaway – Escape Reality, Read Fiction! In this followup to the delightful The Garden Plot (reviewed here) American gardener Pru Parke is once again on the trail of a murderer while handling the restoration of a traditional English garden. 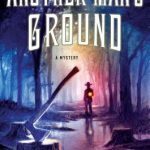 While her garden labors end in success, just as in the first book, she also turns up a series of corpses, and sticks her amateur investigative nose into solving the crimes. But this time, while she is still the bane of the local police department’s existence, her new lover is in the soup right along with her. 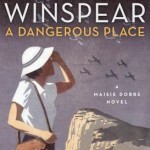 In the first book, Pru falls in love with London CID Inspector Christopher Pearse. At Primrose House, out in the countryside, Christopher also finds himself on the outside of the case. As much as he wants to protect Pru, the local CID wants him to keep his nose out of their business. Especially since Inspector Tatt and Christopher have butted heads before. Just as in The Garden Plot, this is really Pru’s case. The police, including Christopher, can either help or hinder her, but they can’t stop her from getting to the bottom of what becomes a series of crimes, including murder. Pru starts out her task believing that she’s found her dream job, only to have it turn into one nightmare after another. Her work is vandalized, one of her assistants is murdered, and two of the others are framed for his death. The local police are desperate to find the killer, and grasp at straws left by the unseen perpetrator to put others in the frame and waste their resources, while Pru tries to keep them on track, and Christopher tries to keep her from walking straight into danger. But of course she does anyway, and only discovers “who done it” by nearly being done herself!. Escape Rating B+: This story has three plot threads, and they all come together at the end for a very satisfying, if somewhat hair-raising, conclusion. I say hair-raising because Pru does put herself in jeopardy on a fairly regular basis, and in the denouement of this story, her tendency to leap before she looks is nearly deadly. Again. But about those three stories. 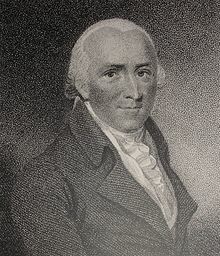 One is the relatively straightforward tale of Pru’s task to restore or refurbish the Primrose House garden to a state that, while not following Repton’s Red Book religiously, will at least keep to the spirit of the famous gardener’s original plan. This effort is compromised both by the unfortunate tendency of Pru’s assistants to either get jailed or killed, as well as the vandal who continues to destroy her work in progress. Amid these serious difficulties, Pru is also bedeviled by her slightly flakey employer’s succesion of grandiose and absurd suggestions for the garden. Pru is also in the middle of a crime wave (this seems normal for her).It’s not just that someone is vandalizing the garden (and it’s fairly obvious who) but one of her assistants is murdered, in the garden, and the local police are looking for a too easy solution. Pru’s search for the real killer turns up motives aplenty, as well as a nasty case of domestic violence that has been covered up. But of course Pru keeps digging. The most interesting part of the story is Pru’s personal quest. She came to England to see if her late mother left any family behind. The all-too-real skeleton in her family closet turns around everything that Pru every believed about herself and her family. Coming to terms with her new reality is a major distraction. And through it all, her relationship with Christopher keeps going two steps forward and one step back.The issues of a mature couple who already have established lives when they meet seriously complicates the future of their relationship. Navigating those occasionally muddy waters keeps this part of the story interesting. 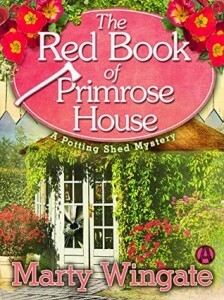 I enjoyed The Red Book of Primrose House as much, or maybe more, for the way it developed and dealt with the relationships involved as for the murder mystery. I’m looking forward to seeing what trouble Pru gets into next. 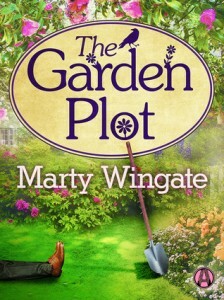 Marty is kindly giving away a $25 gift card to the ebook retailer of the winner’s choice plus a copy of The Garden Plot To enter, use the Rafflecopter below. Pru sounds like a character I’d enjoy getting to know!